The representative of Pando, Gleisy Noguer, was crowned as Miss Bolivia 2017, among 24 candidates. The gala took place in the Sirionó Salon of the Fexpocruz, in Santa Cruz. The crown of Miss United Continents Bolivia was awarded to the representative of Chuquisaca, Nimeyra Flores while Miss Santa Cruz, Giancarla Férnandez, won the tile of Miss Earth Bolivia 2017. 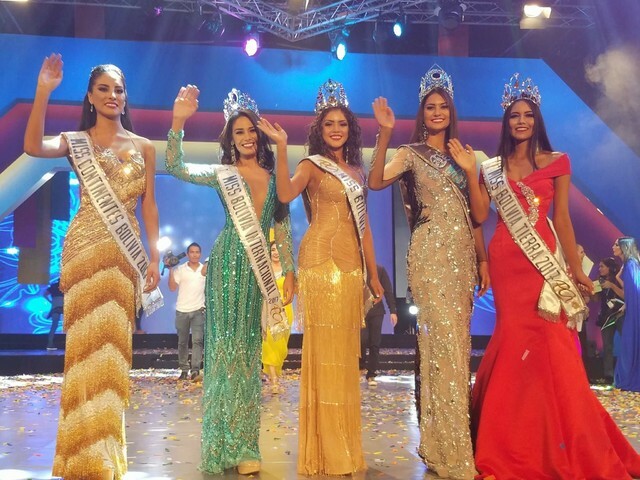 Fourth runner-up was Andrea Ustariz, Miss Residentes; Third runner-up was Mariem Suarez, Miss Litoral; Second runner-up was Marilin Zugel, Miss Andalusia and first runner-up was Miss Tarija, Gabriela Espíndola. Earlier before the contest, Yasmin Pinto was named Miss Bolivia Mundo 2017.